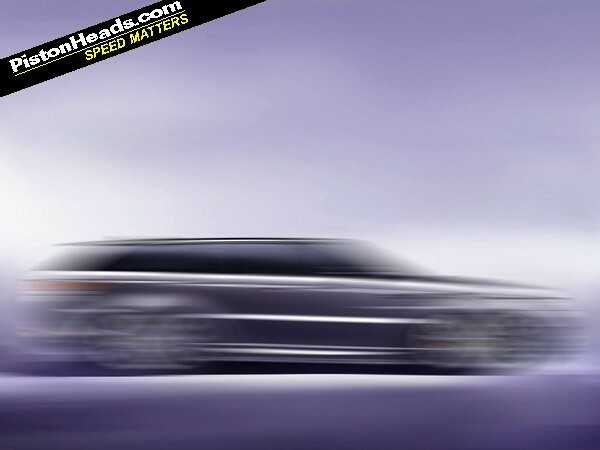 Range Rover has revealed it's planning an all-new shooting brake model. The new car, whose name has yet to be released, will be the first ever non-SUV to bear the Range Rover badge and reflects growing confidence within the JLR stable off the back of eagerly awaited showroom arrivals from the new Range Rover Sport and F-Type. It will, of course, be the biggest departure from Land Rover's core 4x4 product range since the first Range Rover was launched in 1970. Rumours that Jaguar is meanwhile working in parallel on a Range Rover Sport based SUV are yet to be confirmed but the new Range Rover will be based around the Jaguar XJ platform and will initially use JLR's 510hp 5.0-litre supercharged V8 at launch, with more engines to follow. The resulting car has been touted as a rival for the Mercedes CLS63 AMG Shooting Brake, as well as Porsche's Panamera. A source said the decision had been taken in response to the burgeoning craze for sports car brands to develop their own SUVs. "Recent years have seen the Range Rover marketplace becoming ever crowded with lifestyle vehicles developed by sports car manufacturers," he told us. "We're moving in the opposite direction. After all, if Porsche, Mercedes, Bentley and even potentially Lamborghini can sell 4x4s, there's no reason why Range Rover can't successfully bring to market a sports car." Range Rover has released just one heavily disguised image of the new car thus far, which, as with its pre-unveiling Range Rover Sport teaser, doesn't reveal much. Suffice to say, secrecy about the project ahead of its yet to be confirmed motor show debut is tight. Having said that there are reports from a respected Brooklyn-based window tinting firm of 'another neat looking new Range Rover' on the premises and promises of pictures just as soon as they can find their camera. Anyone happen to know what the date is today? Valiant attempt though. Can we have the PH-o-meter renamed the lame-o-meter? If I could afford it, I would definitely be interested. Question is why don't Jaguar develop it?